I’m a bit late with this one but the Fantasy Faire 2016 for Relay For Life is here and it’ll stay here until LL closes it down! Well, officially until May 1st but everything will be kept open until Linden Labs closes it. It’s not worth the risk to wait until that happens though so I strongly encourage you to visit the Faire while it’s still officially open. If you’re not familiar with Relay For Life, I’d recommend you check out their website as besides of all of the fantasy goodies, events, shows and beautiful sims it’s mostly the thought and spirit behind Fantasy Faire that makes it so special. 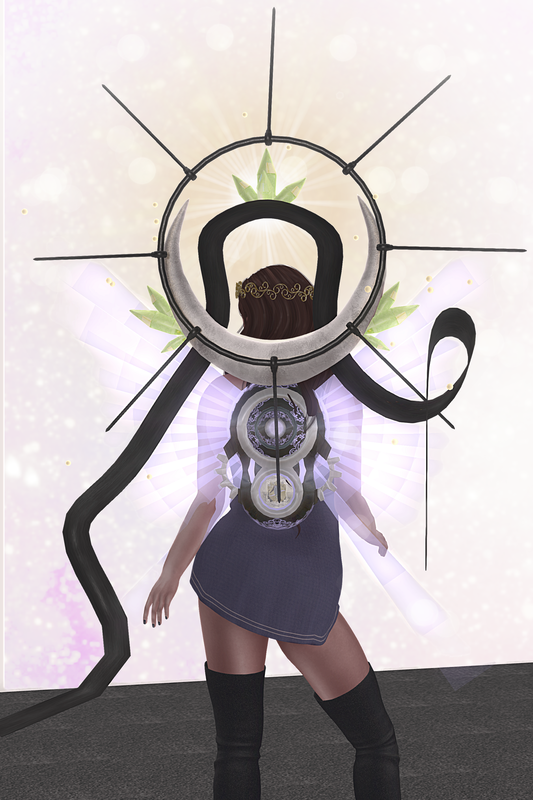 The futuristic wings I’m wearing are a RFL item, meaning that it’s a 100% donation item. All RFL items have a special vendor so you’ll recognize them quickly. All of the RFL items are listed on the Fantasy Faire Pinterest Shopping Guide. It gives a nice overview and guess what? It also tells you all of the other details you need to know about the items! The Faire consists out of 14 sims this year. It’s a paradise for all of the wanderlust filled residents (including myself) and passionate photographers. Make sure you follow all of the individual links in the credits (hover over the text for links, my current template doesn’t highlight links) as the vendors are also spread over several sims and one designer might not share the same shopping location as the other.